Lt. Dan Choi, who has been standing up against DADT (Don't Ask Don't Tell) for 17 months now, just got discharged. 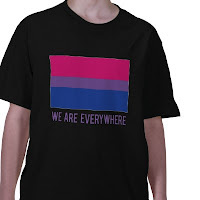 Remember that DADT makes it against the military code to be gay or bisexual, and as Cliff Arnesen, President of New England Gay, Lesbian, Bisexual & Transgender Veterans, Inc. found out, you don't get half a discharge for being bisexual. Help the fight against DADT by joining Get Equal. 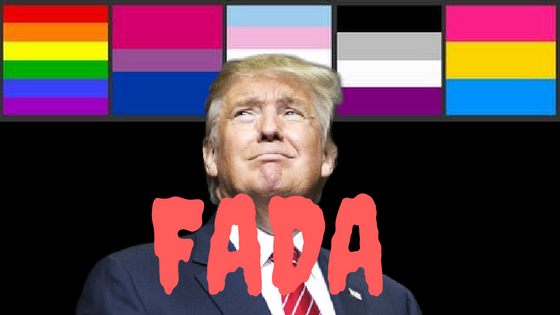 Take a survery on Bi/Pan/Fluid Self-Identification today! Please take a moment to share your thoughts on the names we call ourselves! 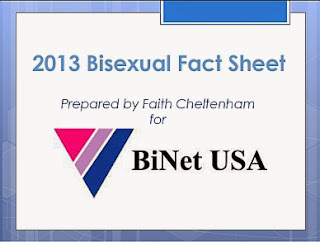 Survey created by respected bi authors and researchers, Loraine Hutchins and Lani Ka'ahuman. What do you label yourself? -- Lani and Loraine want to know!